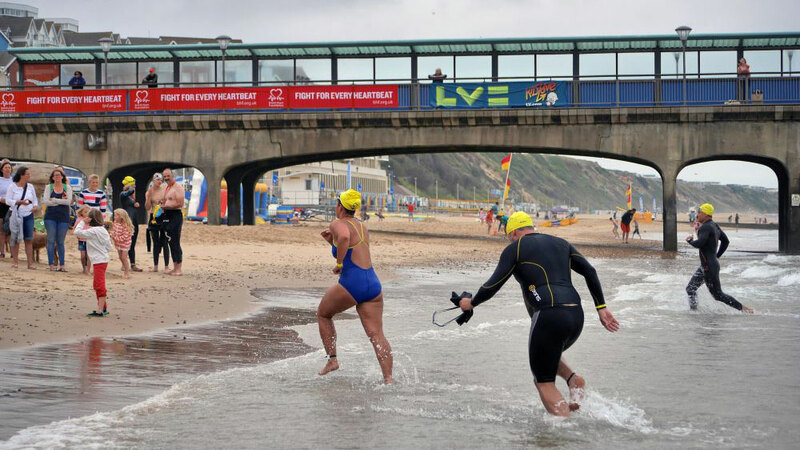 On 7 August 2016 Andrew Czyzewski joined more than 500 other participants in what’s billed as the biggest charity swim in Europe – the British Heart Foundation’s Bournemouth Pier to Pier Swim. There is something quintessentially British about swimming from one wind-swept seaside pier to another just for giggles – indeed they’ve been doing just that at Brighton’s version of the pier to pier since the 1930s. At Bournemouth there was also a lot of orderly queuing and some stiff upper lip in the face of a rather choppy surf in the first entry wave at 10am – followed by a miraculously British parting of the clouds to reveal a strange bright yellow mass by the second wave at midday. 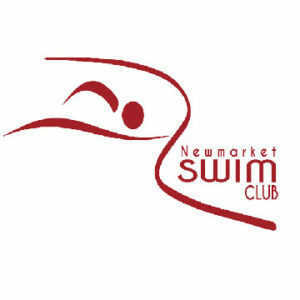 All in all, it was a fantastic event and a truly memorable day, superbly well organised by British Heart Foundation with a plethora of volunteers, lifeguards and well-wishers. 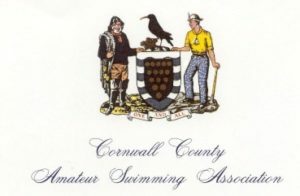 Now, this wasn’t an official Masters event, although many Masters no doubt swam, including myself and two other intrepid Penguins from Winchester – and also contingent from my other club Camden Swiss Cottage. The focus was squarely on taking part and raising money for charity, in the same vein as Race for Life and similar popular events. Times were released after the event, but not ranked. 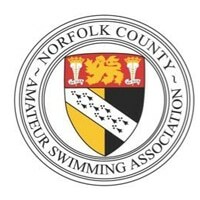 That may seem a little odd to seasoned Masters swimmers used to a constant a diet of stats and splits, but I think it has the advantage of gently encouraging participation and not demoralising adult improvers. We could probably benefit from putting some of that approach back into Masters. That said, I admit to succumbing to my own competitive urges and scouring the timesheet for half an hour to rank the entries (fourth out of 451 in the first wave). 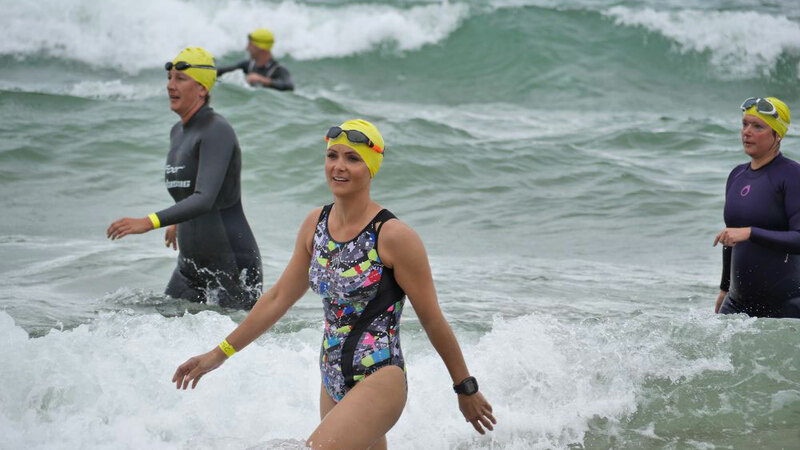 I was pretty pleased with what was my longest sea swim and first event wearing a wetsuit – although it’s a real learning curve. I went through four different order/returns before finding a wetsuit which seemed to fit, although it still feels pretty damn tight. In fact, on a quick test swim I was alarmed to find a very raw graze on my neck which scabbed-up and lasted for more than two weeks (sorry for the gruesome details). Apparently this is very common and is remedied by wetsuit lubrication (yes, that’s a thing) and a rash guard t-shirt. So this time I was fully lubed up and ready to rock. As a pool swimmer, more accustomed to the freedom of briefs and jammers, a wetsuit (even in the right size) will always feel a little restrictive in terms of arm movement – but that’s more than compensated for in terms of the buoyancy gains. Chiefly being a sprinter, my normal approach to swimming is to just charge through the water, but that will simply not cut it in the sea. The strongest swimmer in the world cannot fight against the waves – you’ve got to work with them. I’m still learning how to do that, but it seems to involve feeling and really ‘listening’ to the water then sometimes pausing your stroke or lengthening it as a wave hits. Basically using the buoyancy of the wetsuit to full effect to carry you. 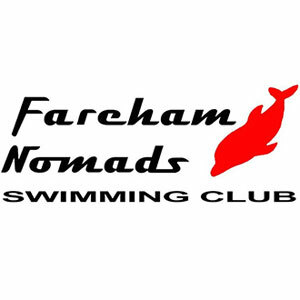 Anyway, sea swimming is never going to be for everyone – but for me it was the perfect antidote to the very different, highly-orchestrated, fun of the European Masters Championship a few months ago. Why not take a look at open water events near you and book yourself onto one for 2017?